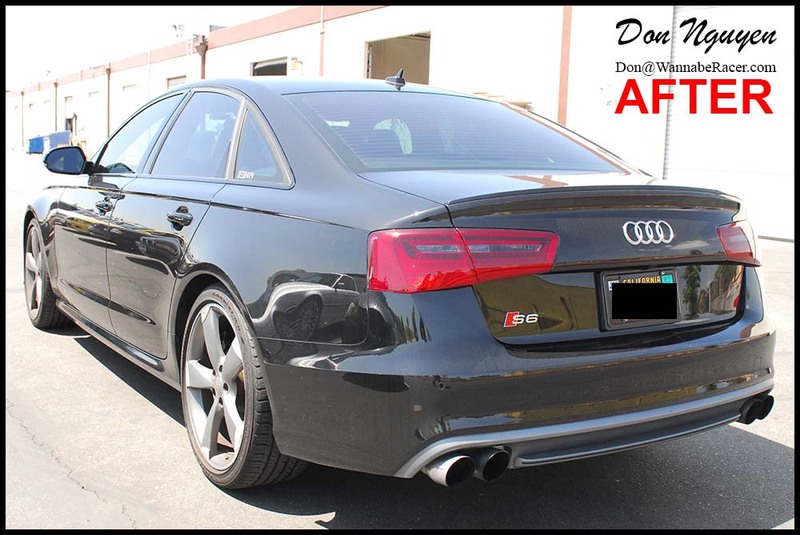 It doesn’t always take much to change the look of a car, such as in the case of this black Audi S6 sedan. 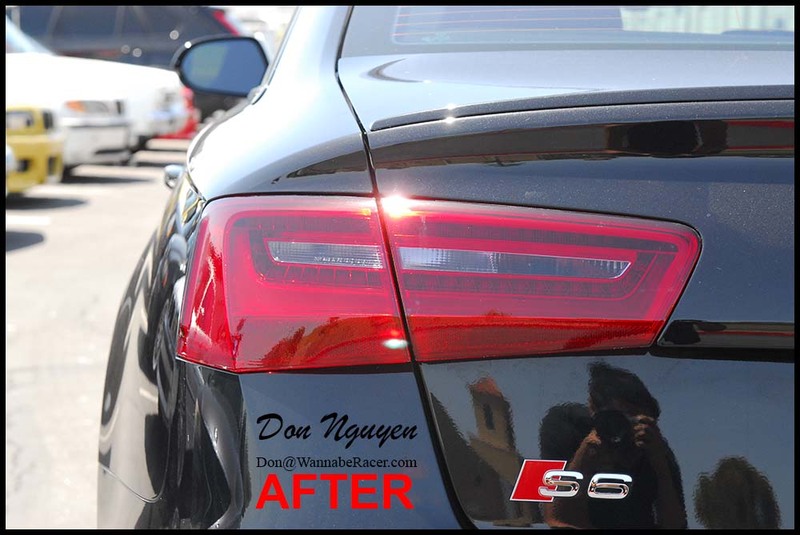 For this car, I lightly tinted / smoked the rear tail lights. 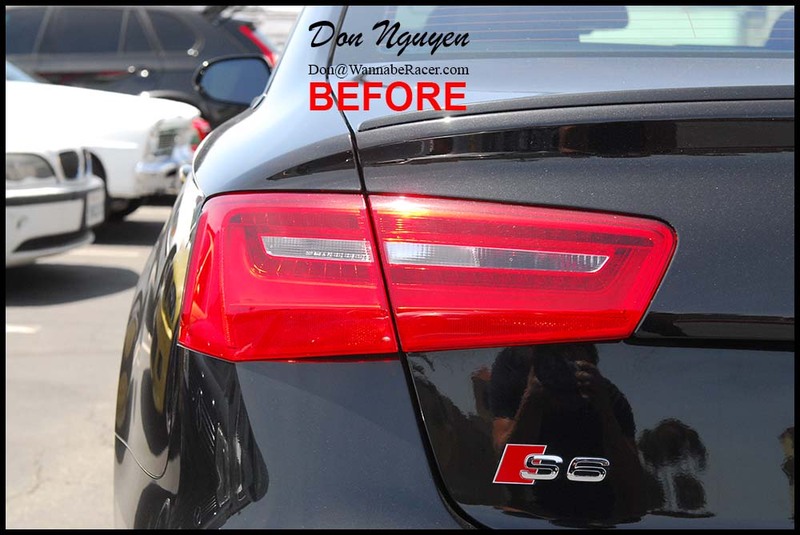 The slightly darker tail lights complimented the gunmetal finish that were on the wheels and really flowed well with the rest of the car. The shade that I use gives the car an OEM+ type look, as if it came from the factory this way or was a factory option. 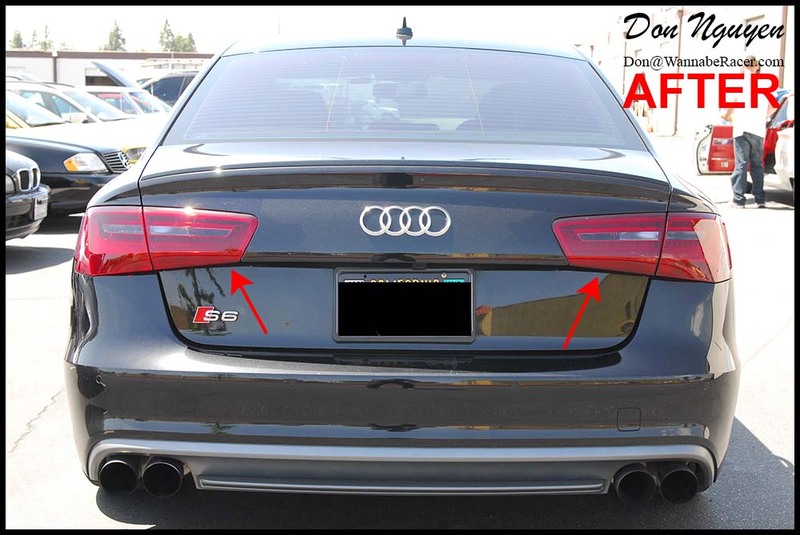 The owner of this car was from Pasadena Los Angeles and came out to me in Anaheim Hills / Orange County to have the vinyl work done on his tails.